Dry confined spaces. 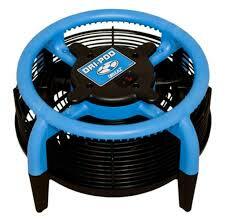 Use the Dri-Pod in confined spaces like cabinets, closets or bathrooms – it’s 15 inches wide so fits almost anywhere. Dimensions (H × W × D) 15.2 × 15.2 × 8.9 in.